Once past that hurdle, possibly the most important decision about getting your first (or indeed any) tattoo is to find the right artist. There is plenty of information available in the form of on-line portfolios, websites, tattoo shows and publications, but make time to meet with your prospective tattooist face-to-face. You should feel comfortable explaining what you want and be wary of anyone who tries to sell you something else.If you go in for a butterfly and come out with a tribal back piece, something has gone wrong! Of course, always allow yourself the time and flexibility to take on board the suggestions of the tattooist - this artwork will stay with you forever, and laser removal will cost a lot more than the tattoo ever did. This is also a good opportunity for you to check out the tattoo studio. Is it clean? Are you comfortable? Is there a private area available and is the tattoo area separate from the reception? 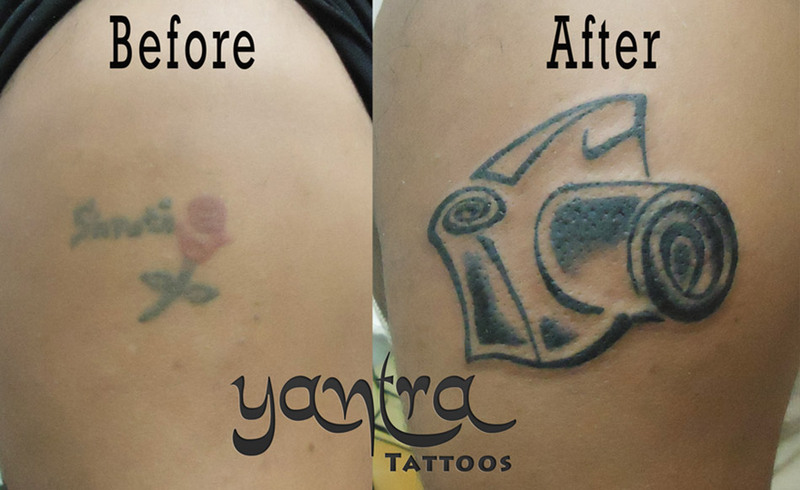 Knowing that your tattooist is safe and clean is of paramount importance. 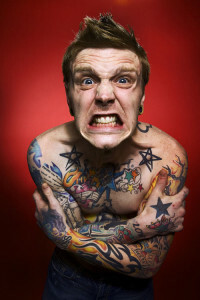 Tattooists should sterilize their equipment and throw away gloves and tattoo needles after each use. New ink pots should be prepared for each client and a green soap solution used to clean the tattoo after each application of ink. When the work is done, your tattoo artist will give you after-care advice. You should avoid exposing it to the sun straight away and you should apply some protective ointment on your skin. It will swell up, but will soon return to its normal size. Look after your tattoo - but above all, enjoy it!